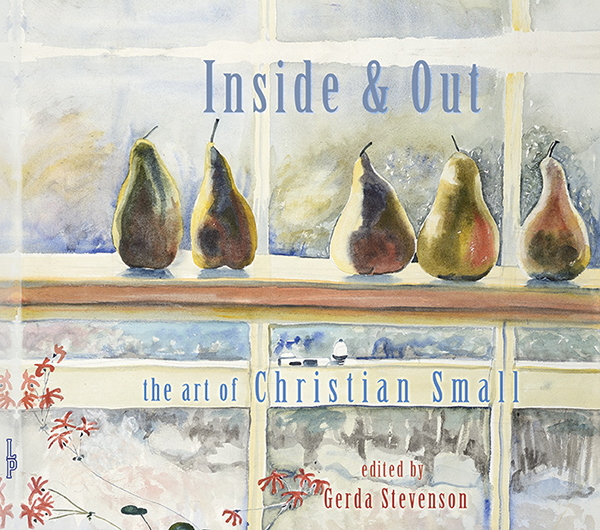 Gerda Stevenson is an award-winning writer of drama, poetry, prose, and children’s stories. Her poetry and prose have been broadcast on radio and published widely in newspapers, literary magazines, anthologies and in her own poetry collections throughout Britain and abroad. She has written extensively for BBC Radio, including her own original drama, and dramatisations of Scottish classic novels. She is the recipient of writing bursaries from the Scottish Arts Council and Creative Scotland. With the Pentlands Writers’ Group in 2005, she co-wrote, edited and directed a large-scale community play, Pentlands At War, supported by the National Lottery, the script of which was published in 2006 (Scottish Borders Council Arts Services). Her stage play FEDERER VERSUS MURRAY, written and performed for Oran Mor, Glasgow, was shortlisted for the London Fringe Theatre Writing Awards, 2010, and produced by Assembly on the Edinburgh Fringe, 20011, where it was runner up for the EdinburghGuide.com & Scottish Arts Club award for Best Scottish Contribution to Drama on the Fringe. FEDERER VERSUS MURRAY toured to New York in 2012, as part of the Scottish Government's Scotland Week celebrations, and was published there by the prestigious American literary magazine, SALMAGUNDI. 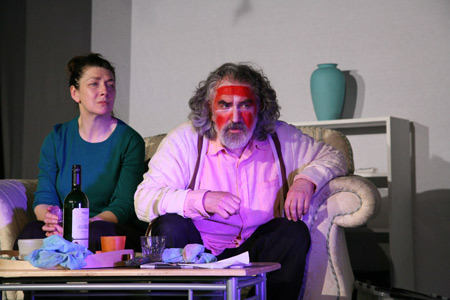 Her play SKELETON WUMMAN was staged at Oran Mor in 2014, touring to the Traverse, Edinburgh, and West Yorkshire Playhouse, Leeds. In 2013, she won the YES Festival Poetry Challenge, and the Robert Tannahill Poetry Prize in 2017. Gerda's first poetry collection IF THIS WERE REAL (Smokestack Books, 2013), was published in Rome by Edizioni Ensemble, 2017, in an Italian translation by Laura Maniero, entitled SE QUESTO FOSSE VERO. Also in 2017, her opera libretto, based on Coleridge's THE RIME OF THE ANCIENT MARINER, the score by composer Dee Isaacs, was commissioned and performed by the University of Edinburgh. In 2018, her second poetry collection QUINES: Poems in tribute to women of Scotland, was published by Luath Press. 'A tranquil domestic moment caught by the distinguished pen of Gerda Stevenson, actress, writer and director. The poem is included in Stone Going Home Again, New Writing Scotland 28, edited by Alan Bissett and Carl MacDougall (Association For Scottish Literary Studies, £7.95)' – Lesley Duncan, Poetry Editor, The Herald, 18th August, 2010. 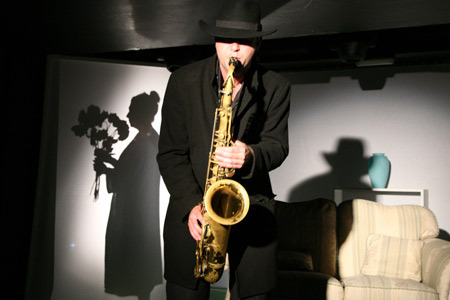 2012 - SKELETON WUMMAN - an original monologue for theatre, with musicians and interpreter for the deaf - Traverse Theatre, Edinburgh International Fringe. 2012 - FEDERER VERSUS MURRAY, an original play for stage, 59E59 Theatres, New York, USA, part of the Scottish Government's Scotland Week celebrations. 2011 - FEDERER VERSUS MURRAY, Assembly, Edinburgh International Festival Fringe. 2011 - THE APPLE TREE - an original play, starring Juliet Stevenson, BBC Radio 4. 2011 - SECRETS – a two part original drama on the subject of prostitution for BBC radio Scotland. 2010 – FEDERER VERSUS MURRAY, Oran Mor, Glasgow. 2009 – dramatisation of Lewis Grassic Gibbon’s novel SUNSET SONG, BBC Radio 4’s Classic Serial, Spring 2009. 2007 - dramatisation of Sir Walter Scott’s epic novel THE HEART of MIDLOTHIAN, BBC Radio 4’s Classic Serial, Autumn 2007. Nominated for the 2008 SONY AWARDS. 2007 - ISLAND BLUE, an original drama serial, for BBC Radio 4. 2005 - dramatisation of THE GOWK STORM, a novel by Nancy Brysson Morrison, BBC Radio 4. 2004 - dramatisation of Agnes Owen’s novel FOR THE LOVE OF WILLIE, BBC Radio 4. 2003 - dramatisation of SELF-CONTROL, a novel by early 19th Century Scottish writer Mary Brunton. 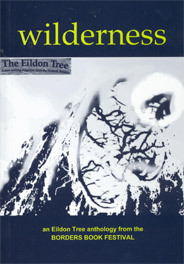 Gerda’s poetry has appeared in many literary magazines and anthologies, including Edinburgh Review, The Scotsman, The Herald, New Writing Scotland, Chapman, Cencrastus, The Eildon Tree, Spectrum, Markings, Parnassus Poetry in Review (New York), Cleave (Two Ravens Press), A Rose Loupt Oot (anthology of poetry and song commemorating the Upper Clydeside Shipbuilders’ work-in), and Cork Literary Review. She was a finalist in Aesthetica magazine’s Creative Works competition, December 2008, runner up in The Eildon Tree Wilderness competition (2005), and published in both subsequent anthologies. 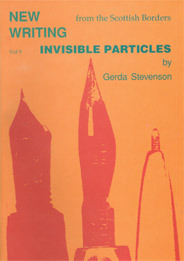 Her first collection, Invisible Particles - New Writing from Scottish Borders, was published by Scottish Borders Council Art Services in 2002. 2011 - SKELETON WUMMAN, a short story, published in Southlight literary magazine. 2009 - CHROMOSOMES and CHOCOLATE, a short story, published in Markings literary magazine. 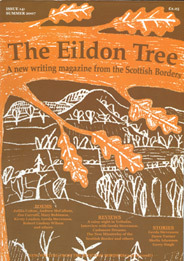 2007 – BELLA DAY, a short story, published in The Eildon Tree magazine, Issue 14. 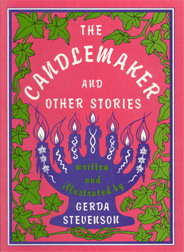 1987 – THE CANDLEMAKER & OTHER STORIES (pub. Kahn &Averill), children’s stories, with her own illustrations. Gerda has run many writing and story-telling workshops in schools. SKELETON WUMMAN, TRAVERSE THEATRE, Edinburgh Festival Fringe, 2012. Edinburgh offers an overwhelming variety of comedy, drama, pop music and theatre events. At the Fringe Festival in Edinburgh the comedians showcase their own disasters to make us feel better, but for a critical approach you need the theatre. “We've recently had a hugely affecting version of Agnes Owens' FOR THE LOVE OF WILLIE, adapted by Gerda Stevenson.” Chris Dolan, The Herald, April 17th, 2004.